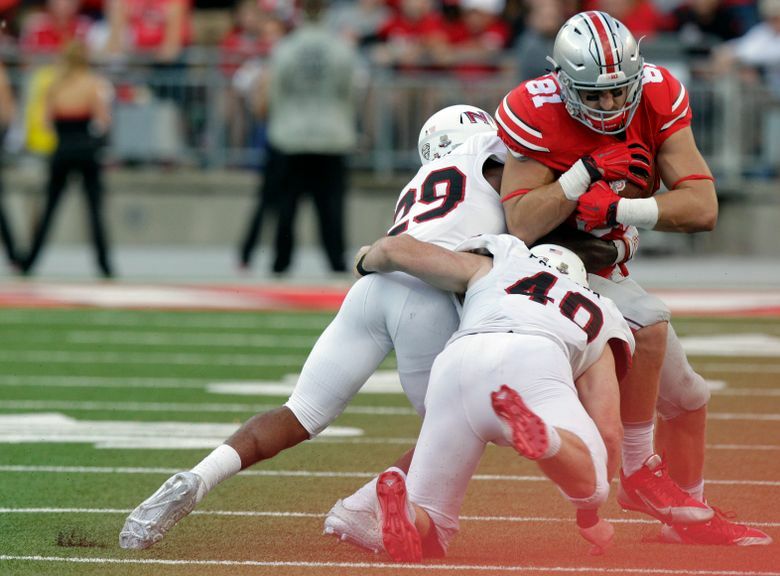 The Seahawks drafted Ohio State tight end Nick Vannett, who says he likes to study Patriots tight end Rob Gronkowski. Personal: One of the funniest moments of the draft was when a reporter asked Vannett if he moved around a lot. “No, I’ve always lived in Columbus, Ohio,” Vannett said. It was a reasonable answer, although the reporter meant how often he moved around on the field. Vannett is an only child who has lived his whole life in Ohio. He stayed at Ohio State for four years. Scouting report: Vannett prides himself on being a tight end who can play on all three downs, meaning he sees himself as a good route runner and blocker. The Seahawks have Jimmy Graham at tight end, although he is coming off an injury, and they also have Luke Willson. So they will likely be able to use Vannett in specific situations that play to his strengths, and the fact that he spent most of last year blocking should help him get on the field as a rookie. He has the size and athletic tools teams look for in tight ends, and the fact he had only 19 catches as a senior might have caused his draft stock to slip similar to Luke Willson in 2013.